In a move that can only be described as "excruciatingly obvious," sensual R&B producer/singer The-Dream has pushed back the release of his Fourplay LP yet again. If all goes according to plan, the set will now drop May 28 through Def Jam. A reason has not been given as to why the set was moved from its last reported due date of May 7, but considering the album has been delayed for the better part of a year and a half, what's another couple of weeks? Previously titled The Love, IV (Diary of a Mad Man), the artist's fourth album under the name The-Dream was originally set to appear in September 2011, but has since faced a number of setbacks. Since then, he's released the 1977 mixtape under his birth name of Terius Nash and repacked it for a major label release late last year. 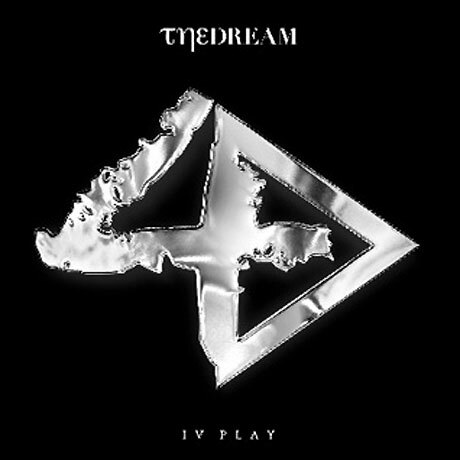 In other Fourplay news, The-Dream has unveiled two separate, monochromatic versions of its Roman numeral-adorned artwork. You can peep the black version up above and the white below. While you're waiting for Fourplay to arrive, you can sample the recent, back catalogue-scouring Parental Advisory mix over here.